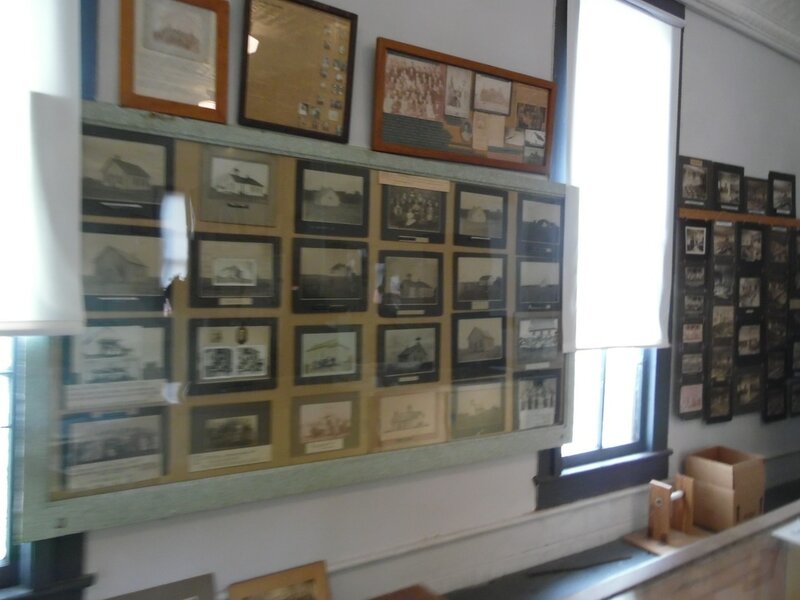 Country Schools, Vintage Photos, etc. 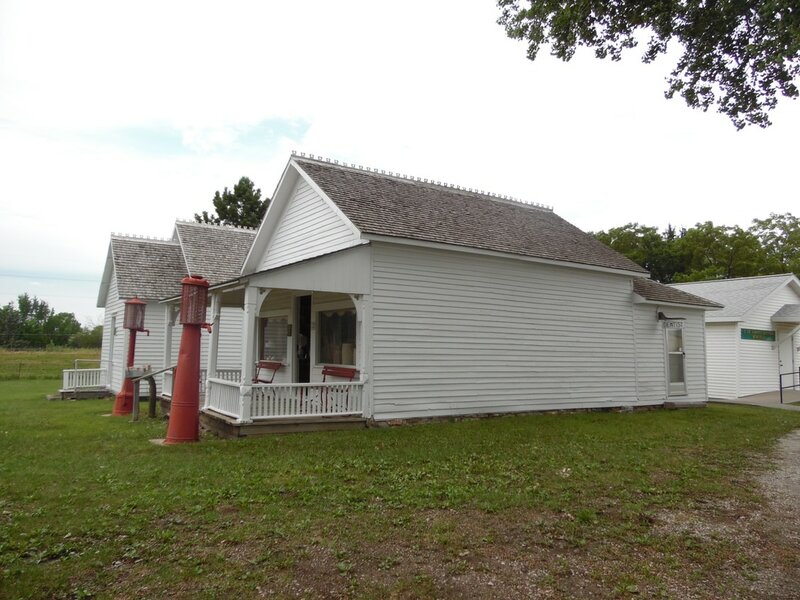 Now a museum of the Table Rock Historical Society, it was moved to its presentation location at the northwest corner of the Table Rock Square in 1966 and dedicated as a museum in 1967. 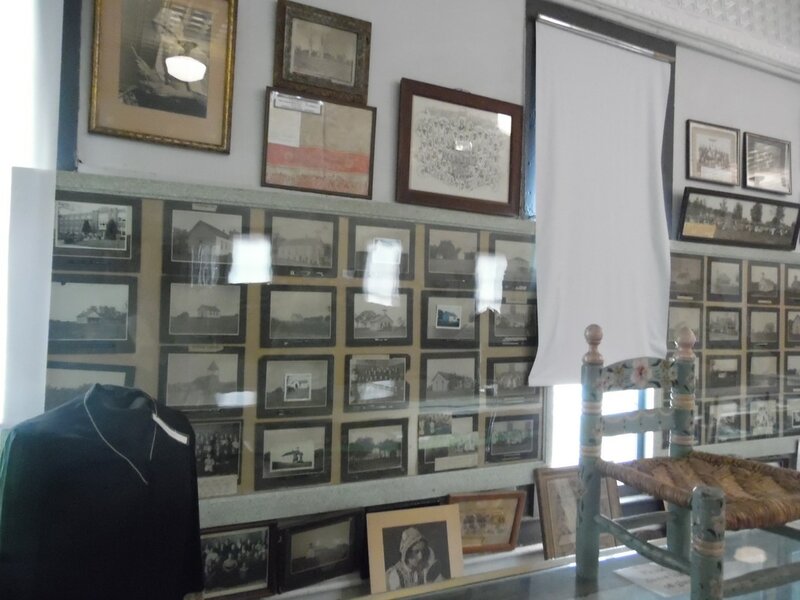 In the back are photographs of schools and students for the area country schools that were gathered in1967. Maple Grove in the early 1900s. Pleasant Valley is east of Table Rock on Railroad Avenue, a rock road. It has been rescued by a consortium of alumni, whose efforts began with a new roof in 2013. 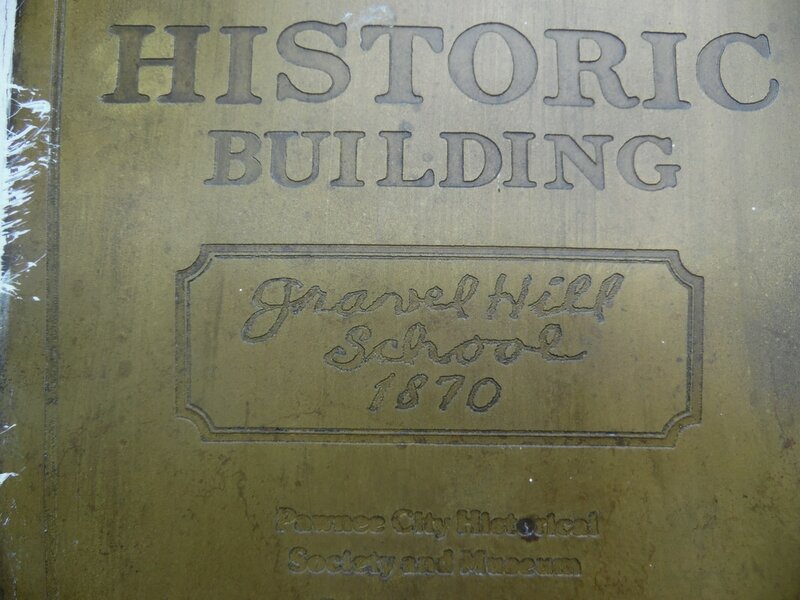 Much is known of this historic school. Go to the "country school" page and scroll down for pictures, etc. At sunset in July 2017. The west and back side of the school at sunset, July 2017. September 2016, Howard Blecha stands inside the school. George Tomek is one of the little kids who went to Pleasant Valley. He has been the unofficial "project manager" for the alumni group that took steps to rescue the school. This photo was taken in June 2017. In the time since September 2016, George has overseen installation of new windows, actually found someone to plaster the walls, had wainscotting installed, put in a suspended ceiling with faux tin panels, and a laminate wood floor. He would like to have put in wood-framed windows and a real wood floor, etc., but the alumni simply could not afford it. Some of the former students had saved treasures from the school, including the regulator clock to the right that kept time for many years in the school, donated by George's brother Edward, whose wife was the last teacher. Not all of the furnishings are original, but they could be from the looks of them. And the work continues. Looking north at the teacher's desk and the doors to the boys' and girls' cloak rooms. 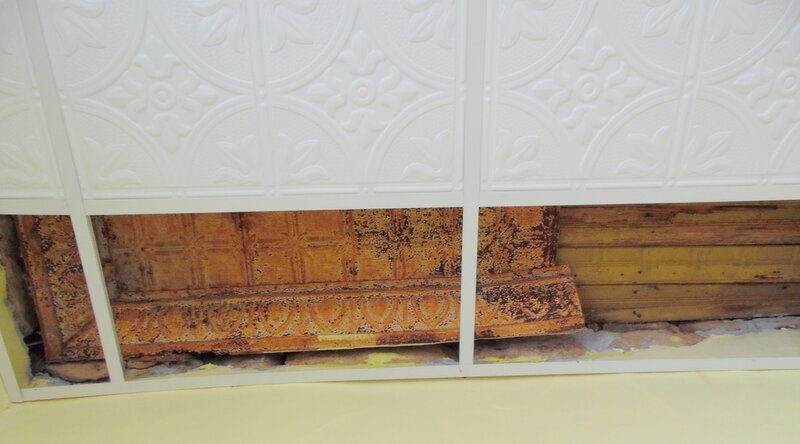 George left a couple of ceiling tiles out so that you can see a scrap of the original ceiling. I know Doug & Betty Hinrichsen, Clifford Brown family, Oenbring family, Jones family Shirley Carmichael Wissler was one of that family. Anna Mae Davis taught there! I think there is a picture of that. My brothers and I went to school there (Hinrichsen) Oenbrings and Richardsons went there. Elsie Bartram & a Mrs. Kerl were teachers. I'm blank right now on Kerl's first name. I taught there. The Henry Schultz boys, Rev. Carl and Alpha Lees 2 children also Charles Young. Rev. 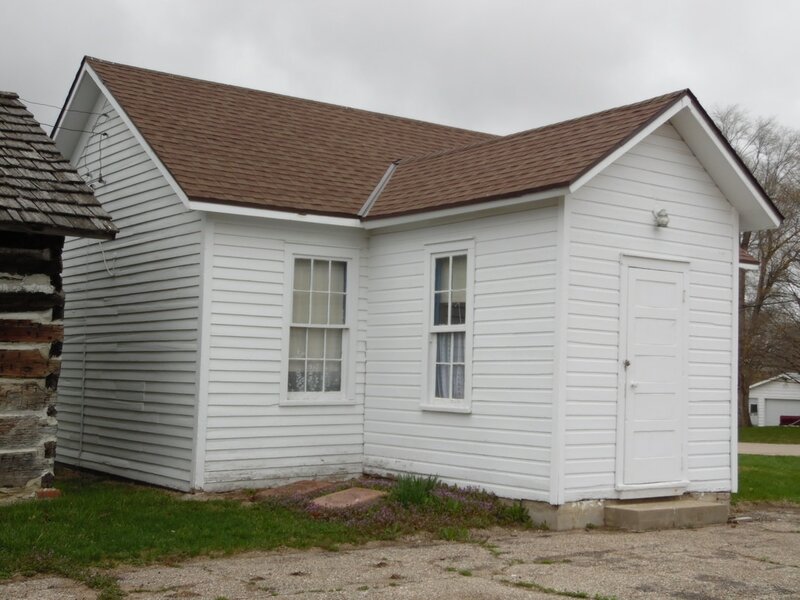 Lee was Pastor at the United Brethren Church which was just east of the Carmichael/Callam corner, north of the school. 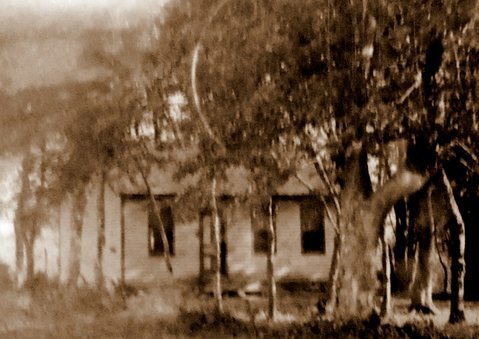 Youngs lived in the empty parsonage for a time. It was a beautiful little school always cool because of the oak trees that were around it. Was a flag pole securely anchored in big chunk of cement just west of the front entrance. It also had a side door on the south another reason for it being a comfortable building. 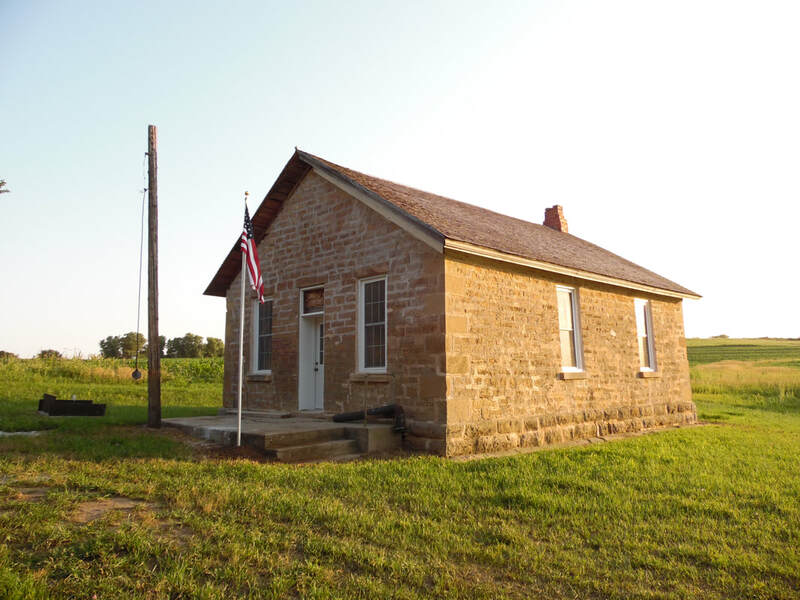 When I was there Uncle Clifford, Frank Jones, and Henry Schultz were the Schoolboard. Had wonderful parents supporting the school, great Schoolboard to work with. ​It still stands back from the east side of the road in the NW corner of Section 32 of Plum Creek. 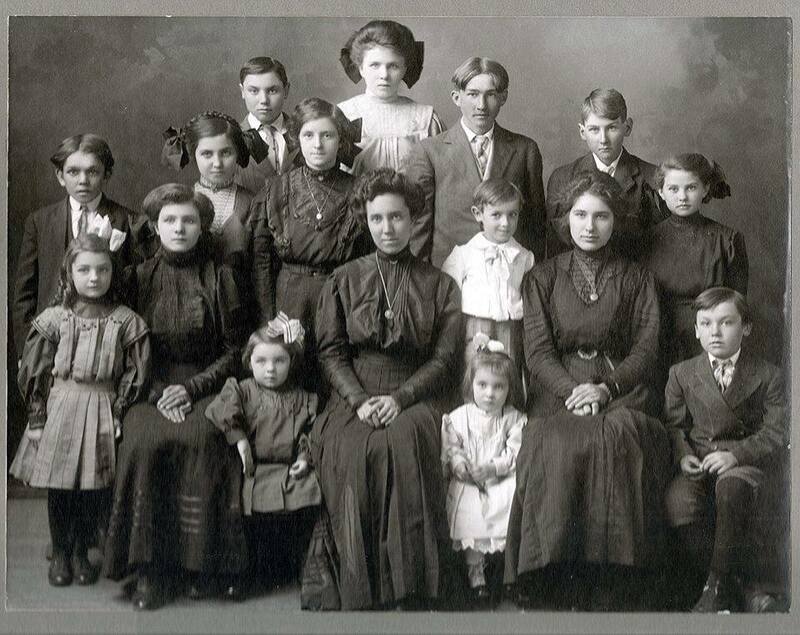 My Dad, his 2 brothers and sister attended there between 1905 and 1915.
and here is teacher edna tackley and her students at frog pond country school for the school year 1909-1910. the names of the students are not included, but they must include at least one morris! Take Highway 4 going east out of Table Rock. At the "four mile corner," i.e., the intersection of Highway 159, turn left onto Highway 105. Go three miles and turn left onto 117 Road. About 1/8 mile down, the school stands on the right. It is so surrounded with trees that it was nearly impossible to photograph in 2017. 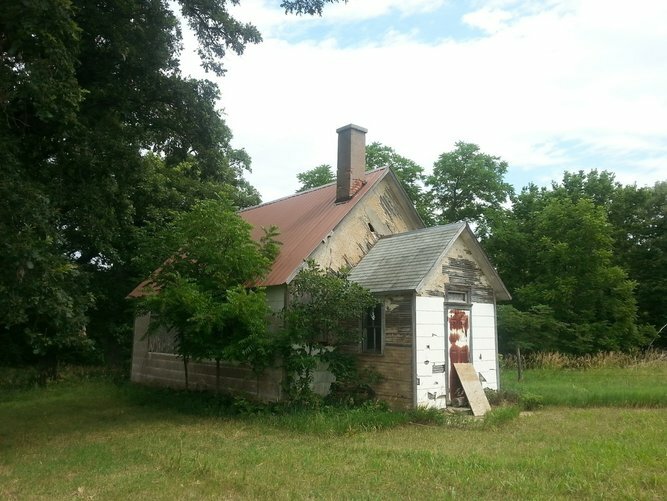 This is not the original location of the school. Richard went to Bush School as a lad. Vera Plager taught there in the 1940s, and in a 2017 chat, I asked Vera whether she had any pictures of the school or the students. Sadly, she does not. 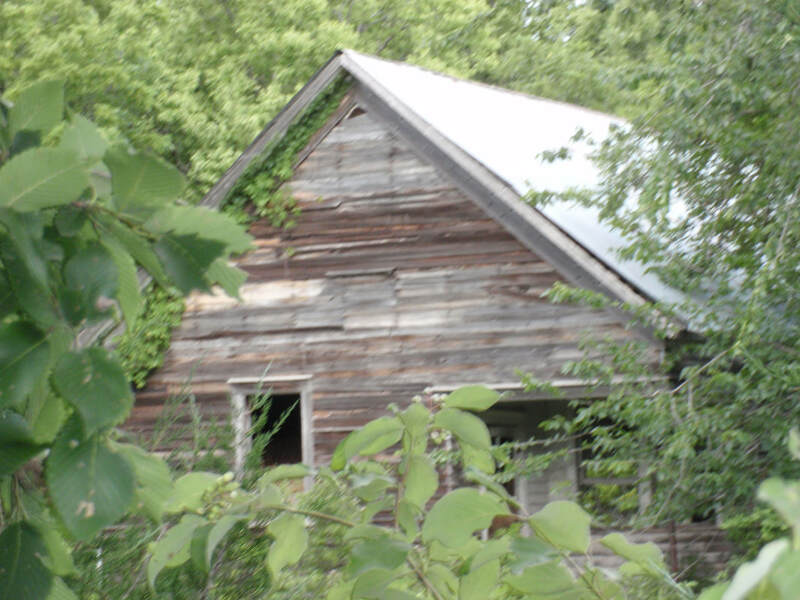 “But you can still see the school,” Richard said. He said that after it was closed, it was moved to the Howard Workman place. (The 2016 county plat map shows that the property is now owned by Douglas Workman.) 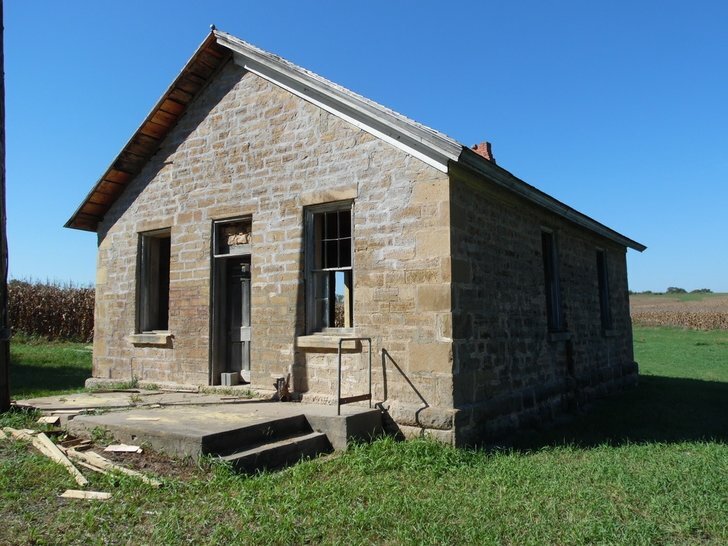 Vera and Richard said that the school that is there was built in the 1930s when Richard was in the lower grades. A fire destroyed the earlier one. The back, on the west side. Looks like there was a chimney. 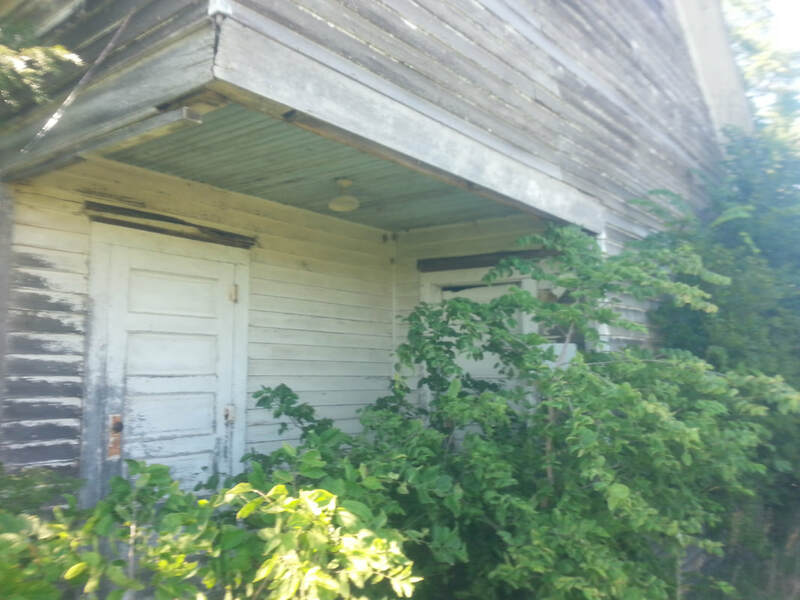 The entrance is on the east side of the building, with an inset protecting the door from then north winds. 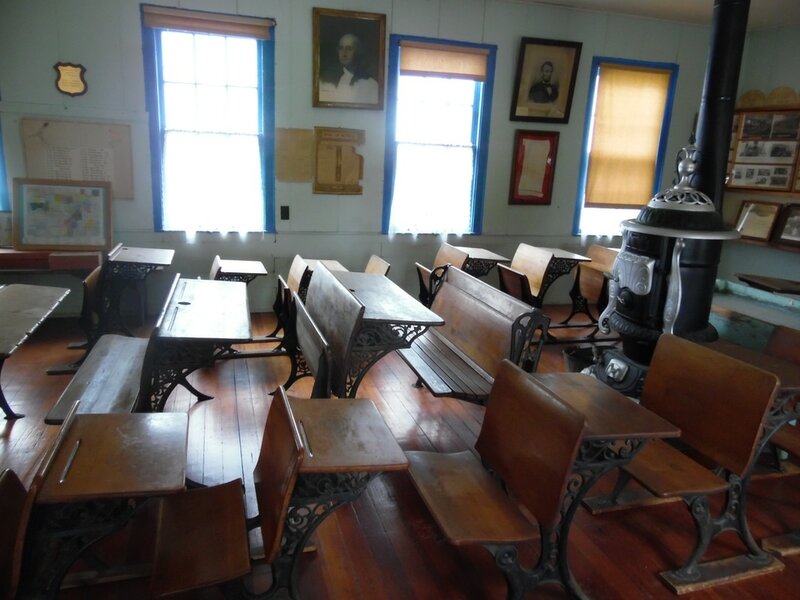 Five one-room country schools have been moved to the grounds of the Pawnee City Museum over time. In the Crackerbox School is a collection of photographs of most of the schools in the county. 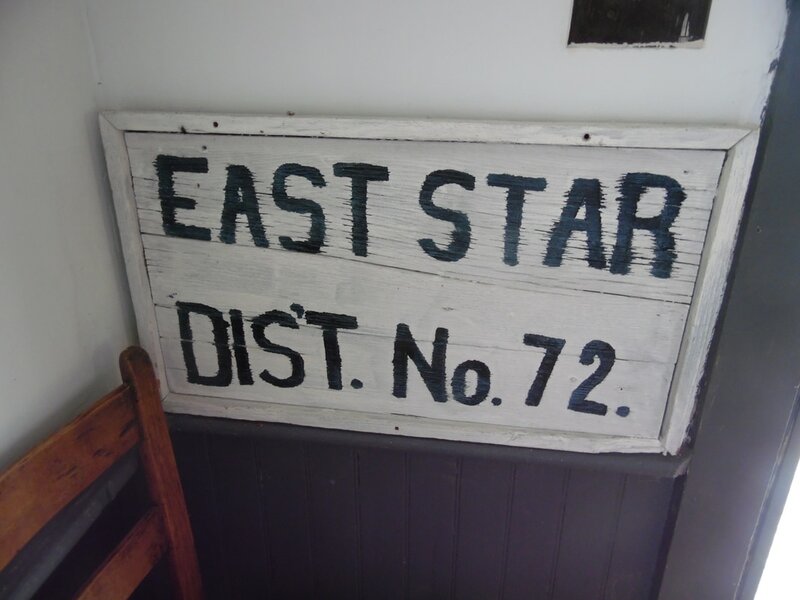 East Star has been re-purposed as a chapel. 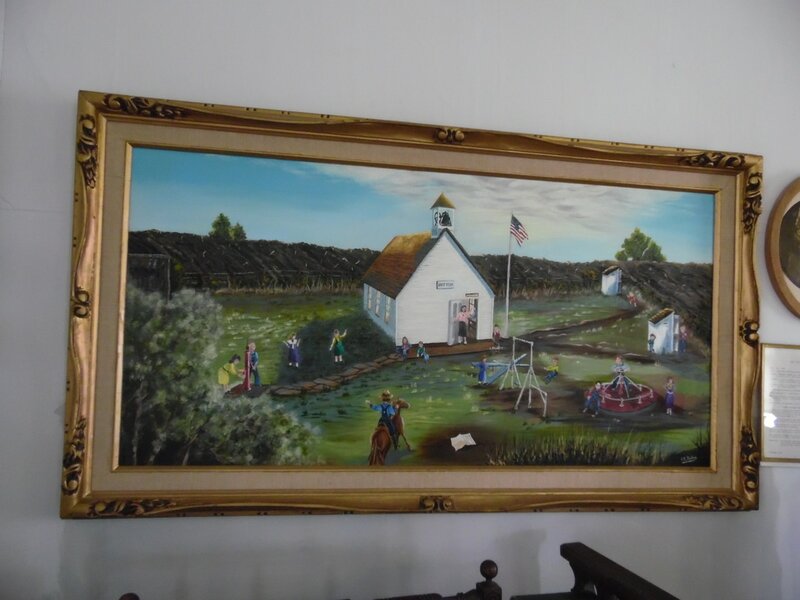 A painting in the school showing the school in the old days, right down to the boys' and girls' outhouses. 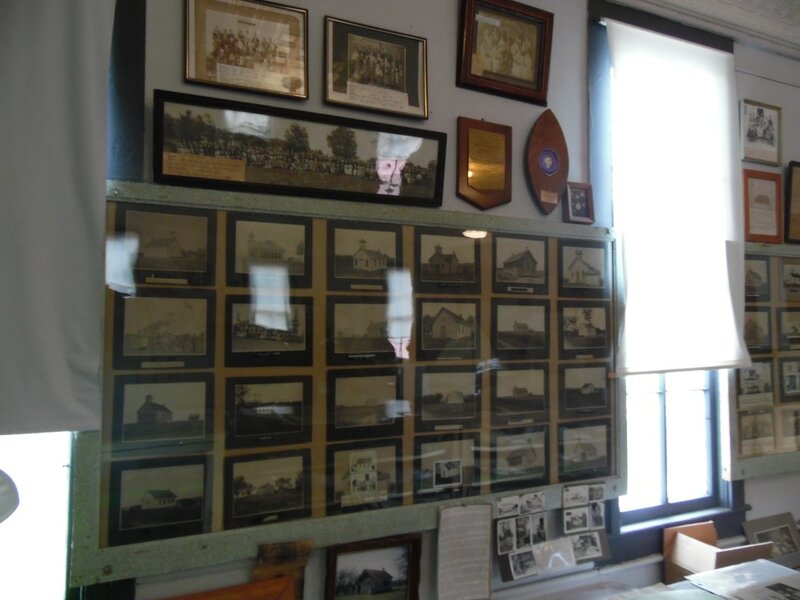 In the Crackerbox Schoolhouse is a large collection of photographs of most of the schools in the county.